What to Pack for New York? A Trip to The Big Apple Needs Planning! What Should I Pack For New York? As with any trip, there are certain items which are necessary in a general scope. Throughout this chat, we’re going to talk about what to pack for New York for the seasons, because this is going to vary wildly. The weather in New York is different for every single season, ranging from boiling hot in summer, to freezing cold and potentially snowy in winter. For this reason, we need to pay weather plentiful attention when figuring out what to pack for New York! First things first, let’s talk general. These are the items that you need to have in your suitcase or carry-on baggage no matter what time of year it is. 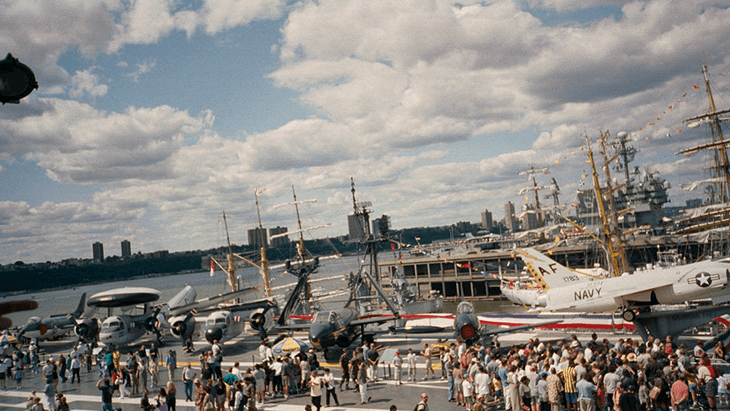 Camera – There is so much to see and do in New York that you will want to capture it all on film! Make sure you have a few memory cards spare to take with you also, and consider backing up your photos and storing them in The Cloud if you’re using your phone for your snaps. Walking shoes – Unless you’re going to spend a fortune on taxis, you are going to need to walk! 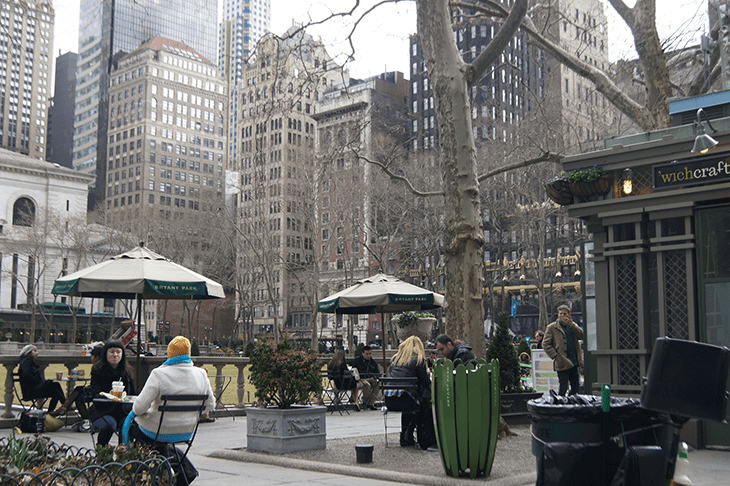 Walking is the best way to see everything the Big Apple has to offer, but comfort is paramount! Invest in a good quality (and fashionable) pair of comfortable walking shoes and you’ll be good to go. Packing cubes – These are a packing godsend, and allow you to organise all your belongings. When you purchase these, they come in sets, and that means you can have larger cubes for clothing, smaller ones for toiletries etc. Make sure you pick a cube which has a mesh top, so you can easily see what is inside, without having to rummage around. Daypack – We mentioned exploring when we talked about walking shoes, and you will also need a good quality bag to take with you. A daypack is a smaller version of a backpack, and this means you will have plenty of room for snacks, a drink, your camera, and everything else, whilst keeping it all safe and secure. Most good quality daypacks have some form of anti-theft feature also. Passport wallet – Keeping your most important travel document safe and secure is vital, and a passport wallet can help you do that; again, many of these have anti-theft (RFID technology) features, and this means you’re not going to have to worry about theft, or identity theft. Travel purse – If you want to keep all your travel documents and important features in one place, a travel purse is a good idea. Again, these have anti-theft technology much of the time, and they keep everything you need for travel in one place, so passports, itineraries, even credit cards. Chargers – Don’t forget your phone charger! If you’re taking other technology too, e.g. a tablet or laptop, consider purchasing a charger which has multiple attachments, so you cut down on space and bulk whilst on the move. Toiletries – It goes without saying that no matter when you visit New York, you are going to need toiletries! Yes, you can buy everything there, but do you want to waste precious time trying to find toothpaste? Probably not! A toiletry storer bag (the ones you hang up) are a good idea for keeping your toiletries together in your case. A good go-to in the toiletry department when deciding what to pack for New York is to remember eye drops. This city doesn’t stop and you’re going to be tired! This might show in your eyes, so eye drops are a good way to minimise dryness and make you look awake. Umbrella – Summer or winter, it can rain at any time in New York, so an umbrella is a good item to remember to pack! A small umbrella will serve you well and won’t take up a huge amount of space in your bag. Currency – Remember to change some cash over to dollars, but also pay some attention to how you’re going to carry your cash. Don’t take large amounts with you, and instead think about using your debit card (remember to tell your bank before you travel), or some other form of currency carrying method. Sunglasses – The sun doesn’t have to be shining for it to be bright! Constantly squinting up at large buildings can give you a headache, so pack some sunglasses and save yourself the pain – you might even get mistaken for a celebrity! 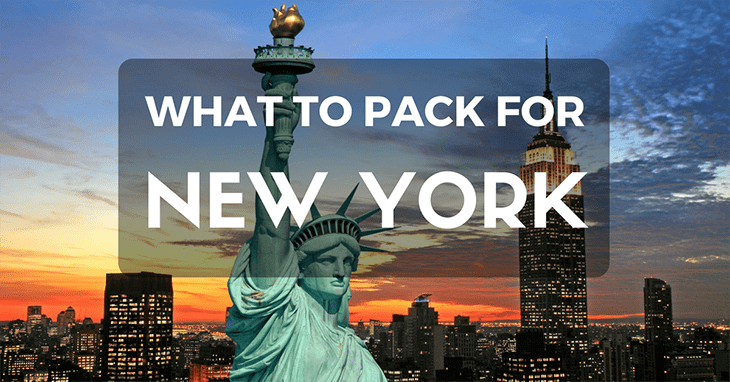 Spring is a wonderful time to visit New York but you may also have the question of “what to pack for New York in the spring”, because this is such an in-between time in terms of weather. The best advice is to think about layers, because whilst rain is not as prevalent as it is during autumn and winter, it can happen, and it can be prolonged on occasion. On the other hand, you will probably experience plentiful warm spring days, so a huge coat is not going to serve you well! Summer time can be searing hot in the summer, especially during the busiest times of the day! For this reason, you need to stay hydrated, but you also need to stay cool in terms of your clothing. 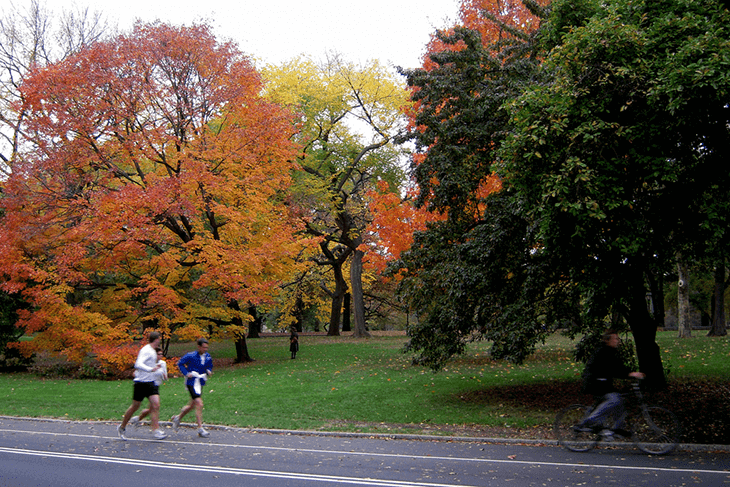 What thinking about what to pack for New York in autumn you need to really reflect back to spring, but it depends whether you are visiting in early autumn, or late autumn. The later weeks of autumn can be chilly, but the early parts are like an extension of summer. Umbrella – it can rain at this time of year especially! There are certain times in winter when it can be very, very cold, and it can even snow quite dramatically. Whilst this all looks wonderful in person and especially on your photos, you need to know what to pack for New York in winter, to make sure you’re warm whilst exploring. As you can see, it really depends on when you’re visiting the Big Apple as to what you need to take. What to pack for New York isn’t difficult as long as you dress for the weather, but the general items we talked about at the beginning of our chat should be with you regardless. Make sure you leave enough space in your suitcase for the shopping you’re going to be doing whilst you’re out and about, visiting those big named stores, and grabbing souvenirs from the places you visit.